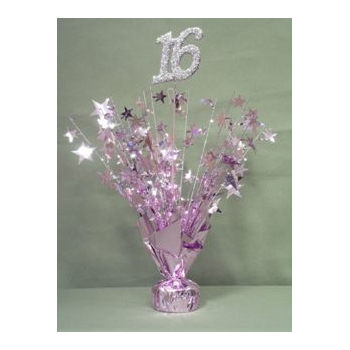 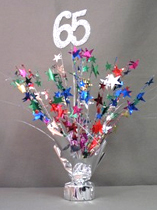 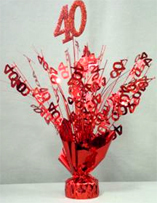 Multi Colored 21st Birthday Balloon Centerpiece is a weight covered in a silver metallic material. 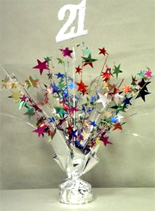 Multi-colored stars burst out from the center with a glittered “21” standing tall. 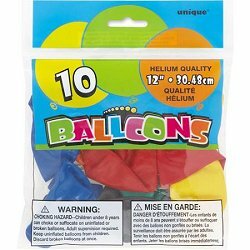 Multi colored “21” balloon centerpiece weights are heavy enough to hold a lot of balloons, but they also look good just by themselves.